The quilt the guild donated to the Relay for Life Auction made $150 last weekend. Thank you to everyone who contributed to another wonderful quilt for our community! The Orlando Modern Quilt Guild began the effort to collect quilts for loved ones affected by this recent tragedy. 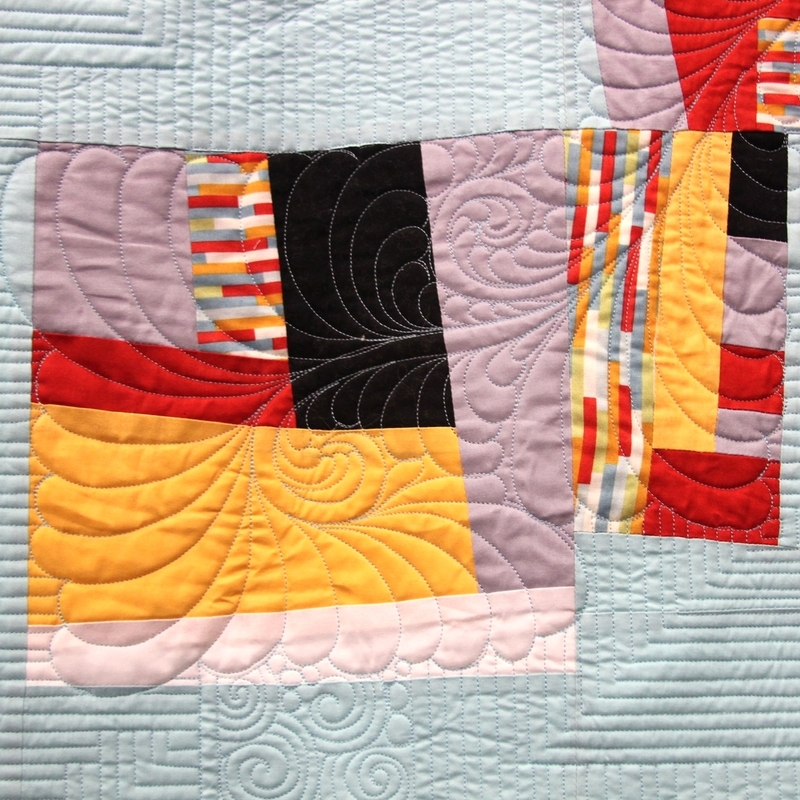 Many individuals and quilt guilds have contributed time, talents and amazing quilts. Our guild hosted a sew in to make blocks and tops, and the tireless ladies from our community quilts committee have finished several to send to Orlando as pictured below. You can read more about this amazing endeavor and see the quilts others have made here. Our amazing committee is charged with organizing the blocks from our BOM, and collection of orphan blocks into quilts that go to children in foster care or at the local hospitals, and adults in care facilities. Roz, Deb, Roxann, Debbie, and Corliss organize the guild members into helping with producing high quality quilts to give to people in the community. It is truly a labor of love. We could not do it without the generosity of our members, but also the gift of batting from Warm and Natural in Elma, Washington. Thank you Warm and Natural! We have certain members who give a lot of time, energy, and thread to make this all possible.